LEGO’s latest addition, the LEGO Life app is now available in Australia, after a very limited release as a trial. Back in January, the LEGO Life app was launched in the US, UK, Canada, France, Germany, Denmark, Austria and Switzerland, and we’ve just gotten access to it in Australia! As well as Oz, it should be released in New Zealand and more of Europe. If it hasn’t yet, it’s probably not far off. 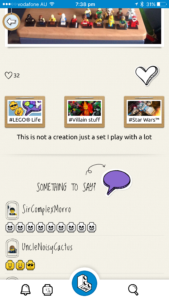 Basically, LEGO Life is a safe social media platform made just for kids of all ages. Think of it like Instagram, but just for LEGO. The app is available on both iOS and Android, but isn’t going to be released for desktop or Windows Mobile OS. It is however, free, has no third party advertising, or in-app purchases – parents, give me a hooray! I’ve been waiting for it to be released in Australia since the start of the year, and I’m very excited. I think it’s a great initiative from LEGO. Encouraging kids to be involved in proudly sharing their creations to a wider audience is such an important part of life as a LEGO kid. Remember every time you built something cool, and couldn’t wait to show someone? Well, now the audience is from all over the world, and the platform is a safe way to share them. How is it safe? Well, there’s one particular feature that’s really important – no personal information of any kind is shared. Not even names. When signing up for the app, you do need a LEGO ID, but as far as display names go, it’s an auto-generated three word mixture. If you don’t like yours, regenerate another one! Some of them are quite funny. Mine is AmbassadorSupremeSnail, but some other ones I’ve seen are PrinceWonkyRug, CaptainBoldBed, CorporalCooperativePenguin, and a personal favourite, CaptainFearsomeSocks. Once it’s selected though, there’s no going back, so be careful. There are comments allowed, but only in the form of LEGO emojis if it’s a community submission. If it’s from LEGO, then type away, but it will be heavily moderated, and held until passed. Each submission is also moderated before it goes live. This is done with the help of a content moderation company, so every image is scrutinised, and also LEGO related. This means no selfies, or faces in the picture at all. There’s also no photos – there is a customisable LEGO minifigure instead. There’s also no thumbs down emoji. This is happy place, after all! This all means there’s no language barriers. Emojis are the universal language. Parents are able to change details in the back end, by solving a maths puzzle. The editable fields are email, country and password. Because the login is a LEGO ID, your username and date of birth is also visible, but only your own, not anyone else’s. No information is shared outside of the LEGO Group. If you’re a big kid and want to use the app, you can. 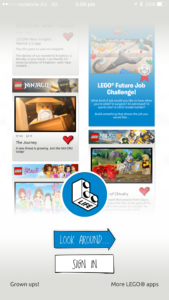 LEGO has said that they’re not actively stopping AFOLs from joining the experience, but they are making it clear that the app is aimed at kids. They’re currently looking at where best to include AFOLs and TFOLs, so more news on that when it becomes available. But what about the LEGO Club Magazine? It’s now being rebranded as LEGO Life Magazine, and is still available, but for a select audience. If your child is between the ages of 5 and 9, then the LEGO Life Magazine is for you. If they’re older, then go for the app. The magazine was getting so popular, and had so many MOC submissions, it was getting hard to keep up, so LEGO Life app stepped in. I took a bit of time today to download the app and check it out for myself, so let’s dive in and take a look. After the app is downloaded, the first thing you’ll see is a scrolling screen, showcasing submissions by LEGO themselves. These include videos, promotional materials, challenges, and more, from a number of themes. 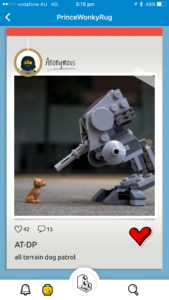 Sign in with your LEGO ID and you’ll be directed to the feed, very similar to Instagram. If you’re a child, or don’t have a LEGO ID they’ll need to get their parents’ permission, and get them to enter in their email address and a few other details to create one. The feed is a mixture of user-generated stuff, and LEGO branded things. 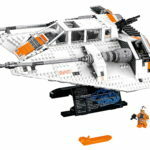 User generated stuff can either be their own MOCs, or responses to LEGO generated challenges. These are usually pretty simple. Make something red, or apply some stickers to this post. The great factor about this is it means that hopefully the kids get off the tech and start building, then share it with the LEGO community. Each post includes the user’s nickname and of course the image. Underneath the image is the count of likes (hearts) and comments, as well as a title and caption, with a like heart to the right. Like said before, there’s no text apart from the title and caption of the submission. It is a little strange at first, but you get used to it. Tap on the user’s nickname to see all of their submissions, and an option to follow that user, so anything new that’s added by them will trigger a notification. When you find something you like, tap on it. If you want to leave a “comment”, then tap on the “Something to Say?” link, and a selection of LEGO emojis will display. There’s plenty of categories, including faces, animals, vehicles, food, and standard emoji symbols, only “LEGO-ized”. There are also LEGO character image sets if you are looking for one in particular. 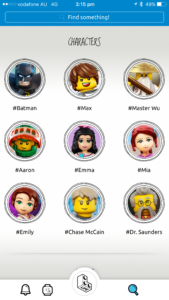 At the moment, the characters include Batman, Master Wu from Ninjago, Aaron from Nexo Knights, and Emma, Mia and Emily from Friends, to name a few. By the looks of things, these are LEGO accounts. Follow them and you’ll be notified of new submissions. 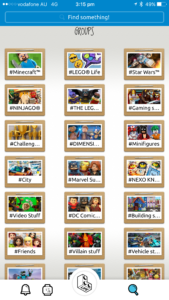 Lastly, there’s groups (categories) organised by “visualised hashtags” according to LEGO. 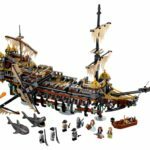 These include various popular themes like #Minecraft, #Star Wars, #Ninjago, #City, etc, as well as a #Video Stuff, #Villain Stuff, #Hero Stuff, and #Building Stuff. It makes it easier to whittle down to what you want to look at. At the top of this screen is a keyword search. Notifications: Anything you did or someone did on your images will be displayed here. This is great as parents are able to check what each child has done on their account. Profile: Where you customise your avatar, see who you’re following, see your submissions, and add more. There is also a Settings link, where the sound can be turned on and off, the account details can be changed (after solving the maths puzzle), and legal notices can be viewed. There is also an option to sign out. Search: Here are the options to limit to a certain LEGO character, group, or keyword search. After tapping the profile button, you’ll see your current avatar. Two options are at the bottom of the screen – Minifigure, or Minidoll. Choose the type of character you like, and the main section of the screen will go to a randomly chosen configuration. You can also choose from a selection by swiping across. 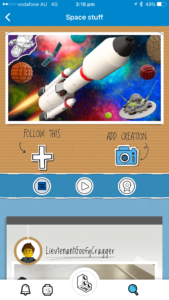 If you find one you like, but want to tweak, tap it and the customisation screen will appear. Select the body part you want to swap, and some options will appear. As well as the standard parts, there are an assortment of accessories, capes, and armour. When you’re happy with your selection, just go back – it auto saves. As well as on the profile page, there’s also a camera icon on the feed. You can take a photo and upload it straight away, or choose from your image library. Tap on the image you want to add, and press the “More! Next! Let’s Go!” button at the bottom of the screen. Add a headline and caption, as well as adding a large assortment of stickers. The sticker will be added to the centre of the image – pinch and slide to change the size and position. Clicking Next again will ask you to select a group for your creation. You need to select one in order to progress. The last step is to either keep it private, or share it. If you haven’t logged in yet, the only option is to keep it private. Once the upload is complete, you should get a notification saying it’s waiting to be checked. Like all new releases, some features don’t work the way they should. I found that some aspects of the app wouldn’t load completely, like text, some images, notifications, or information screens. On the second upload, I didn’t get a moderation notification, and it didn’t appear in my uploads either. 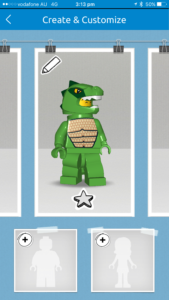 Also, when I tried to edit my avatar, the animation of my minifigure didn’t load. On the iPad, the screen doesn’t allow you to rotate to a portrait orientation, and sometimes the feed didn’t load in full either. I’m sure there’s more, and I’m positive there will be some fixes being rolled out soon. I’m just surprised that these weren’t picked up in other country releases. All in all, I think this app is excellent. It’s certainly safe, fun for kids (and adults), and while a little glitchy, it will be sure to improve. I’m excited to see where the LEGO Life app will go from here. If you’re a parent of LEGO loving kids, download it – the kids will love it. Parents, this app is seriously thought out. LEGO has covered all the bases, plus ones I hadn’t even thought about. Give it a go, and see for yourself. If you do, let me know! Both: An internet connection is required. 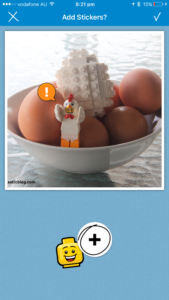 Do you have the LEGO Life app? What do you think of it? Let me know in the comments below.